Internet is becoming increasingly pervasive, unavoidable, and indispensable by the day, radically changing all aspects of our economy and society. As of June this year, 3.5 billion people were connected to the Internet and the number is expected to reach close to five billion by 2025. By the same year, 76 billion things will have been connected to the Internet. This transformation has fuelled an unprecedented wave of innovation, especially in the retail sector. As a result, shopping is moving out of mega malls to the Internet. 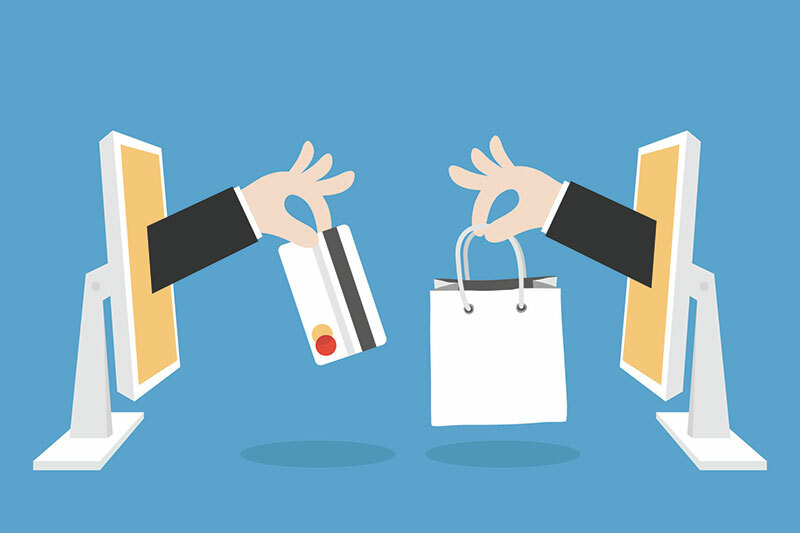 E-commerce sales are expected to climb to over $1 trillion by the end of this decade. So what is Nepal’s share in e-commerce market? The United States pioneered e-commerce giving birth to mega companies like Amazon, E-bay, Uber and AirBNB. The US e-commerce market is set to reap USD 314,000 million by the end of this year. E-commerce is big in China as well with this year’s revenue expected to reach US$ 300,468 million. India is gearing up for the same and is expecting to reap revenues totaling US$ 17,547million in e-commerce sector before the year ends. We wish, we could say the same about Nepal. But to this date, the government, unfortunately, has not been able to create a favorable environment to boost e-commerce in the country. A country has to be network ready before e-commerce can take off. This readiness, however, does not come without formulation and implementation of digital friendly policies, plans, programs, and regulations. But, before intervening in an ad hoc manner, the government has to go about with a baseline study to learn more about the country standing in regards to network readiness—a task that can be costly and time consuming in a lethargic and resource constrained country like ours. World Economic Forum’s annual Global Information Technology Report offers us something to use as a starting point. Singapore ranked first in the NRI, followed by Finland, Sweden, Norway, and the United States. Nepal ranked poorly at 118th just above Nigeria at 119th.The network readiness framework consists of indicators divided into four main categories (sub-indexes) and 10 subcategories (pillars). The four sub-indexes are environment, readiness, usage, and impact on which Nepal ranked 110th, 106th, 129th, and 128th respectively. Even though, Nepal seems to have ranked poorly on the usage and impact sub-indexes, this article will focus on the Environment and Readiness sub-indexes, because a conducive environment and readiness is necessary to drive usage and impact. The political and regulatory environment pillar assesses if a country’s regulatory and political environments promote penetration of ICT and business activities. It does so by measuring the frequency of software piracy, intellectual property rights protection, the efficiency of the lawmaking process, the efficiency and independence of the judiciary, and the overall quality of ICT related regulations. Nepal ranked 114th in this. The Business and innovation environment pillar measures the extent to which bureaucratic red tape, the ease of starting a business, and taxation support entrepreneurship. Indicators on the overall availability of technology, the intensity of competition, the demand conditions for innovative products, and the availability of venture capital funding are also included. Nepal’s ranking stands at 99th in this pillar. In the readiness sub- index Nepal ranks 106th. The sub-index measures a country’s infrastructure and other factors to support the uptake of ICTs. This sub-index has three pillars: infrastructure, affordability, and skills. The Infrastructure pillar (130th) captures the state of a country’s ICT infrastructure that includes mobile network coverage, international Internet bandwidth, secure internet services, and electricity production. The Affordability pillar (30th) assesses the affordability of ICTs in the country by evaluating mobile telephony usage costs, broadband Internet subscription costs, and, not to forget, the state of liberalization. The Skills pillar (115th) measures the population’s capacity to make effective use of ICTs by judging the enrollment rate in secondary education, the overall quality of the education system, of mathematics and science education, and the adult literacy rate. Apart from the NRI, the report also presents several key findings. The finding that highlights the urgency of bringing innovations in governance in regulations to flourish the digital economy is important in our context as well. The study points to the fact that an adequate and a supportive legal environment is essential for creating online trust. So, there is a need to formulate forwarding looking laws in various legal areas so as to increase user’s confidence in e-commerce. We need to devise laws that promote secure electronic transaction, consumer protection, privacy and data protection, and safer cyberspace. Such laws should build citizen’s confidence and trust in transaction on the Internet. However, the legal framework is not to be developed in isolation. It is necessary to harmonize laws and policies at the regional and international levels, because most laws we have now are not suited to deal with the international aspects, leading to conflicts in cross-border e-commerce. In a nutshell, lawmakers should study laws of other countries in the same region or of the big markets in the US, China, and India to bring compatible legal systems that promote international e-commerce. The government should also simultaneously work towards reducing other barriers such as inadequate electricity infrastructure, undeveloped financial markets, low purchasing power, and low levels of ICT literacy. More importantly, the policy makers and regulators should ensure that policies and regulations are as ‘future proof’ as possible, because the disruptive technologies are evolving at the speed of thought. Finally, as a member of the World Trade Organization, Nepal cannot afford to isolate itself by putting up trade barriers. Therefore, maintaining a strong multilateral trading system and improving network readiness should be country’s top two priorities.